Betfred player scoops £5.1 million jackpot! For a simple £1 stake, the press of a button and the long wait for the reels to settle on their final positions, the £1 turned into a whopping £5.1 million! 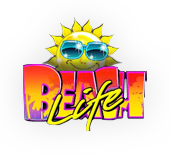 The Beach Life slot game has done it again and made one VERY lucky player an instant millionaire at Betfred Online Casino! And what makes it even more amazing is that it happened after just six spins on the progressive Beach Life slot game. This win makes the player the single biggest winner in the UK of an online progressive jackpot and the third biggest ever worldwide! And to top it all off, the winner was taken by private jet to meet betfred.com‘s founder, Fred Done, who presented him with the winners cheque. “As a bookmaker I get a real thrill out of turning somebody into a multi-millioaire at the click of a mouse. The jackpot has been growing for a while now and we were all hoping that it would be a Betfred.com customer that won this life-changing jackpot. It just goes to show that it’s always worth trying your luck!” said Fred at the congratulatory meeting. We are sure the multi-millionaire player is looking forward to long and relaxing days on the beach spending his new found fortune! Whilst it isn’t everyday that someone wins a jackpot of this size, there are plenty of other chances to hit a big jackpot. Currently the progressive jackpots total over £2 million, with the Gold Rally Progressive Jackpot currently sitting at an incredible £832 thousand, just waiting to be one by someone!